Wang, G.B. and Guan, J.C., “Value Chain of Nanotechnology:A Comparative Study of Some Major Players”, Journal of Nanoparticle Research, Vol.14, Issue 2, pp.1-14, 2012. Wang, G.B. 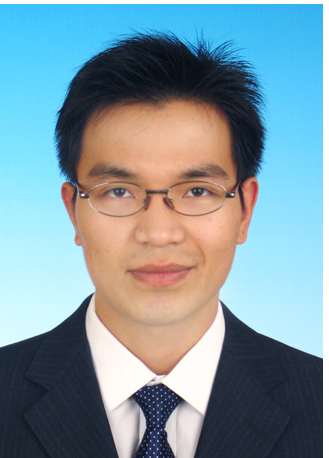 and Guan, J.C., “Measuring science–technology interactions using patent citations and author-inventor links: an exploration analysis from Chinese nanotechnology,” Journal of Nanoparticle Research, Vol.13, pp. 6245-6262, 2011. Guan, J.C. and Wang, G.B., “A comparative study of research performance in nanotechnology for China's inventor-authors and their non-inventing peers,” Scientometrics, Vol.84, pp.331–343, 2010. Wang, G.B. and Guan, J.C., “The role of patenting activity for scientific research: A study of academic inventors from China’s nanotechnology,” Journal of Informetrics, Vol.4, pp.338–350, 2010. Wang, G.B. and Yu, C.P., “Innovator Network Structure and Cluster Evolution: An Exploration Study of World Patent Data in Nanotechnology,” WIT Transaction on Information and Communication Technologies, 2013, 46(1): 311-318. Wang, G.B., “Innovator Network Structure and Cluster Evolution: An Exploration Study of World Patent Data in Nanotechnology,” 2012 International Conference of Information Science and Management Engineering, 2012, Oct..
 Wang G.B., and Guan J.C., “The Impact of Technological innovation on Export Performance: Evidence from a Cross-country Analysis,” 2009 IEEE International Conference on Intelligent Computing and Intelligent Systems, 2009, 3, 393-397.
. 2013 The 13th S&T Evaluation Conference, organized by Shanghai University of Bayreuth, Institute of Policy and Management, Chinese Academy of Sciences. Shanghai, Topic: Evaluation on Innovation Capacity.
. 2015 Study on the Internationalization of Science, Technology & Innovation: Strategy, Policy & Pratice, organized by Institute of Policy and Management of CAS. Topic: Demand-side Innovation Policy in China.